Xur’s location for Week 1, September 15, of Destiny 2. One of the coolest parts of the original Destiny was Xur’s location each Friday. The Agent of the Nine brought a wonderful stock of Exotic weapons and armor, allowing Guardians to fill holes in their Exotic collections. Destiny 2 looks to be no different, with Xur making his Week 1 appearance on September 15. But, what’s Xur’s location on this fine Friday? 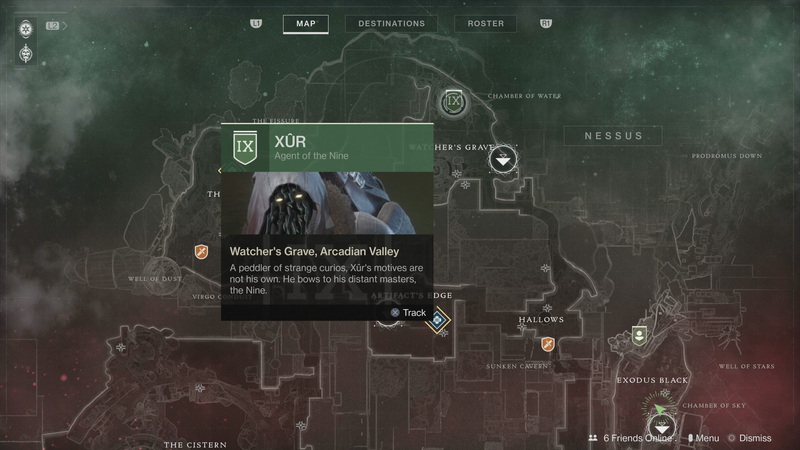 Xur's location for Week 1 in Destiny 2 is Nessus, and more specifically, the Watcher's Grave region by the Chamber of Water. 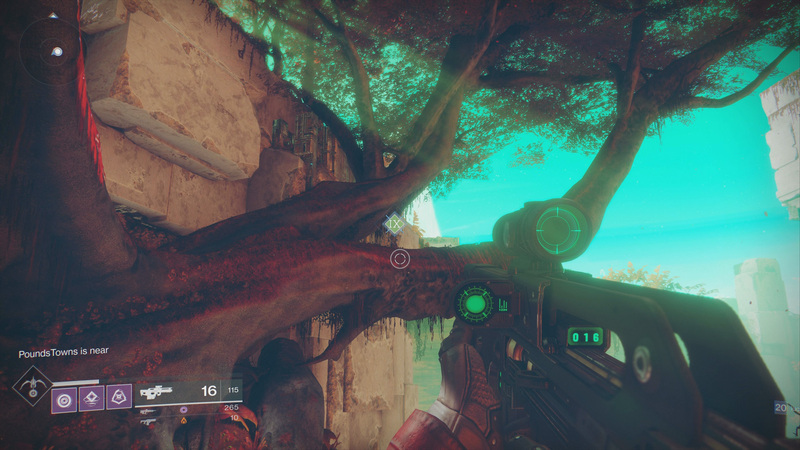 You can see his location from the map, and even track where he's at, which sort of takes the fun out of finding Xur every week, right? 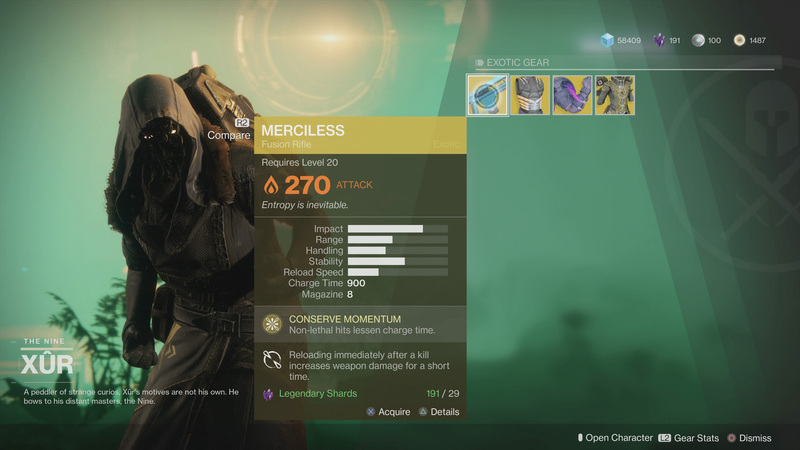 The weapon will cost you 29 Legendary Shards, while each piece of armor will only cost you 23 Legendary Shards. Xur is not selling any other items this week, just the four that listed above. Each item will clock in at 270 Attack/Defense. Normally I’d be all for giving you a complete breakdown of what you should buy from Xur based on the PvP and PvE meta, but not today. Today, you should buy it all. You should buy whatever you don’t have. Remember when Xur arrived for the first time in the original Destiny, selling the Exotic Rocket Launcher known as Gjallarhorn? Yeah, most of us figured there was no point in buying it since who in their right mind would use an Exotic weapon in the Heavy slot? Well, we screwed up, and I waited nearly two years before I finally got my very own Gjallarhorn. Don’t make the same mistake I did. Buy everything that you can afford. Indulge. Now that you know Xur’s location for Week 1, September 15, 2017, be sure to visit the Destiny 2 complete strategy guide we’ve been building since the game’s release. It’s go everything you need to make the most of your journey as a Guardian.